Nabil Bentaleb recovered from injury recently. Bentaleb’s last game after recovering from injury for Schalke was against Bremen. Since then things have gone downhill for him. The French-Algerian is facing a new battle to integrate into the Schalke team. A battle to change his mindset, and be a team player. Coach Domenico Tedesco, accused Bentaleb of training without interest, engaging in hard tackles with his co-players, thereby risking an injury. Schalke’s management decided the fallout from his conduct, to strike his name from the starting line-up. It is indirectly a ‚suspension‘. It was the reason why he did not play against Bayern and Hoffenheim respectively. 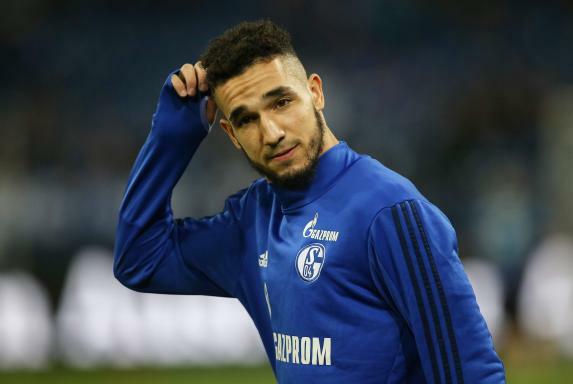 The measures taken by Schalke’s management is meant to give Bentaleb time to reflect on his conduct. It is either he changes his character or he would be isolated. It is a powerful statement from Schalke in an era, where players behave like semi-gods and contracts do not mean anything. The absence of Bentaleb from the pitch, who is arguably one of the best at Schalke since he came from Tottenham Hotspur, continue to arouse interests from all and sundry. The duo of Tedesco and Sports director, Christian Heidel, continue to re-iterate the qualities of Bentaleb on the pitch. And insist that the door is not closed for him. I like the way Schalke are handling the situation. However, it is risky to leave one of your best player from the cadre. There is the likelihood that it could backfire. It becomes questionable if the Schalke continue to lose their matches without Bentaleb. Then sceptics would ask, what use in signing the second most expensive player in Schalke after Breel Embolo if he cannot play? Bentaleb still has time to avoid all the negative labels associated with some professional athletes by embracing the team with body and soul. Then he can really bloom at Schalke. Antonio Conte calls Abdul Rahman Baba’s return to Schalke an interesting option. Can Gerald Asamoah make the cut at Schalke 04 with Felix Magath ?